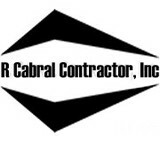 R Cabral Contractor, Inc. has over 20yrs of hands on experience in a variety of residential and commercial construction services, R Cabral Contractor, Inc. is an easy choice for quality craftsmanship, at an affordable price. Your biggest investment is your home. 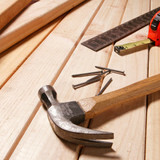 R Cabral Contractor specializes in handyman services to make sure your home is properly maintained. We treat your home as if it was our own. 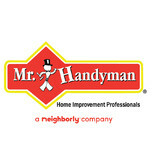 San Mateo Handyman has been providing professional handyman services in the San Francisco Bay Area for twenty years. We are skilled in all of the general building trades, the areas needed to quickly and efficiently complete a remodel or repair project: carpentry, ceramic tile, drywall, electrical, and plumbing. We also do landscaping, painting, and repair jobs large or small. I have over 13 years of experience working in landscaping and as a handy man. I have worked with companies and am starting my own company right now. I have my own car with lumber racks, I also use my own tools. My expertise is stonework, framing, irrigation, interior and exterior remodeling, and fencing. If you would like to get an estimate please give me a call. 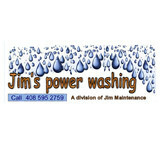 Home repairs, woodwork, painting, electrical, plumbing, and more. From quick projects like mounting your television and assembling your furniture to bigger undertakings like remodeling a bathroom or kitchen, count on us for high-quality work at a fair price. Our services might be varied, but they all come with the same promise of quality, dedication, and durability that members of The Collective agree to stand behind. We promise to deliver the best service at an affordable price, guaranteed. We offer handyman jobs such as TV mounting and furniture assembly. Our experts will be there whenever and wherever you need them. Our convenient travel service allows for total flexibility, whether at your home, work or school. We offer a wide array of services mounting service, soundbar mounting, furniture assembly, board installation, or other Type of services or upgrades, we are the team to call. Please contact us for a free quote. When it comes to Handyman, Flooring and Granite Counter Tops, no one compares to Puente Handyman. With years of combined experience, Puente Handyman has worked hard to build the trust of our clients in San Francisco, Oakland and Berkeley and beyond. Visit our website to learn more. Or better yet, click the link and call us today!